What is an "After Event"? 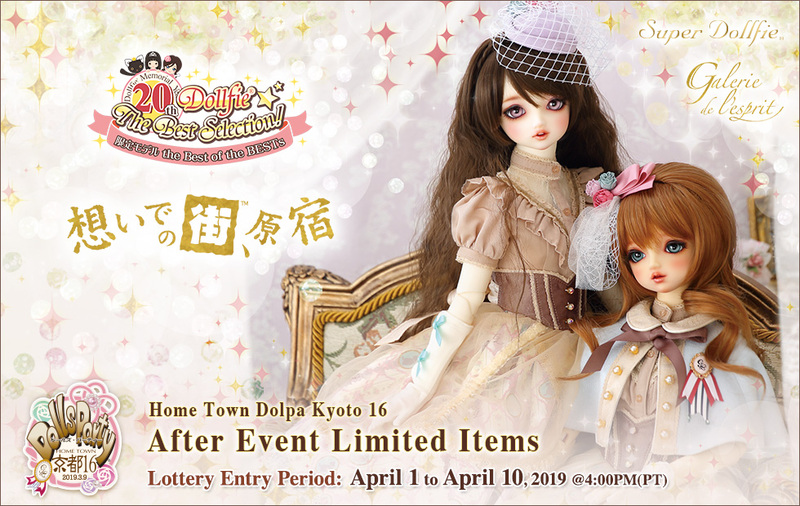 In Japan, we hold 'Dolpa' (Dolls Party) events, and at these events we release special Limited Edition SD (Super Dollfie®) and DD (Dollfie Dream®) models as well as SD and DD related items for our customers who attend. If you wish to entry for multiple items, repeat the same procedure to place all items in the cart before going the Checkout page. One of each item per person. Follow the instruction on the Checkout page and choose the shipping method you like. Select “Lottery Entry” for the method of payment while checking out. A “Registration complete” page will be displayed once you are finished. * An email confirming the completion of your entry for this lottery will be sent to the email address you specified on registration. If you do not receive the confirmation email, please contact us at service@volksusa.com. The announcement emails will be sent to everyone who entered according to the schedule. * If you received the winner’s email, please read the included information for making your payment with Credit Card or PayPal by the due date. Lottery entries are only eligible for registered users on the VOLKS USA web-store residing in the USA, Canada and Mexico. An entry for this lottery is to decide a winner to purchase the Limited Items, it is not a free gift, and will not ensure your chance to win the lottery or to purchase your choice. 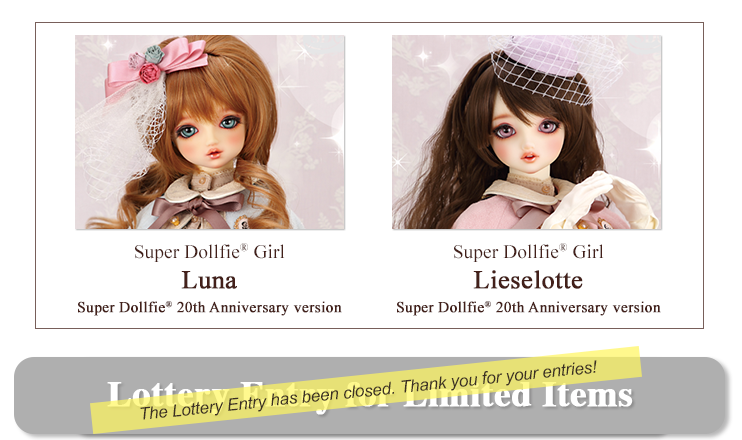 A lottery will be conducted for each of the limited items. You might only win one of the items even if you have entered for multiple items. VOLKS USA will not be able to answer any questions regarding the way the lottery works. One of each item per person. If more than one item/entry is made using individual/multiple web user name(s) and account(s), those user accounts will be closed without warning and will be barred from future web-store purchases. Please be aware that VOLKS USA cannot accept any changes after your entry. This includes cancellation, change shipping address, credit card information, etc. Please make sure to enter the correct information. And also, the request to change information will not be accepted once you become the lottery winner. The only payment option is by credit card, credit-logo debit card (VISA, MASTERCARD, DISCOVER), or PayPal. VOLKS USA cannot accept any other methods such as money or checks, etc. Please be sure to complete your purchase by the payment deadline. Nonpayment for purchases may result in order cancellation and account suspension. Those with suspended accounts will be prevented from making future purchases on our web-store. Thank you for your understanding. VOLKS USA will not honor any requests of transferring the winning right to any other individuals. Please purchase items other than the limited items separately. These items will not be shipped together with the limited items. 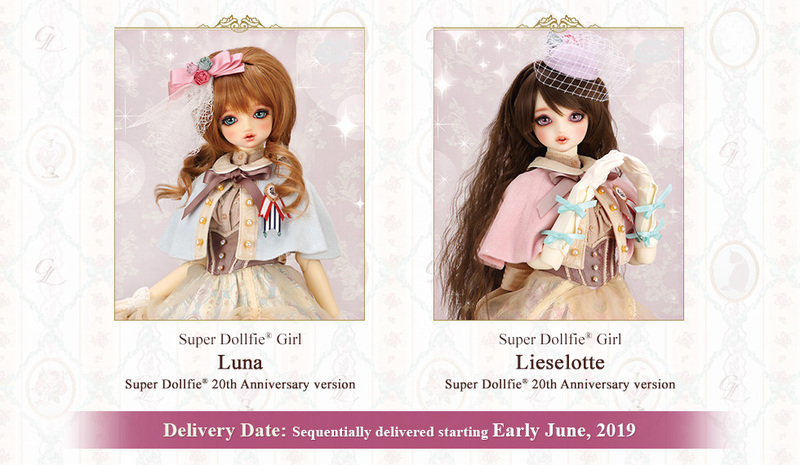 Super Dollfie® is a registered trademark of VOLKS INC.